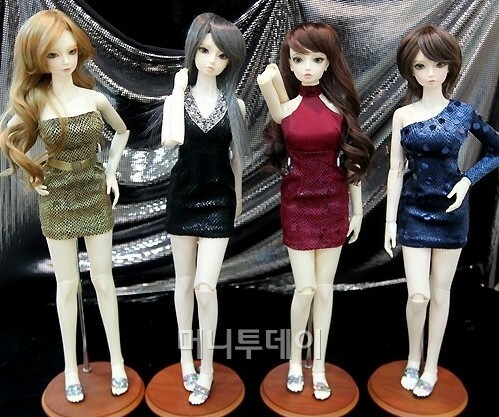 Seoul Doll Fair: You're a Doll...No Really! 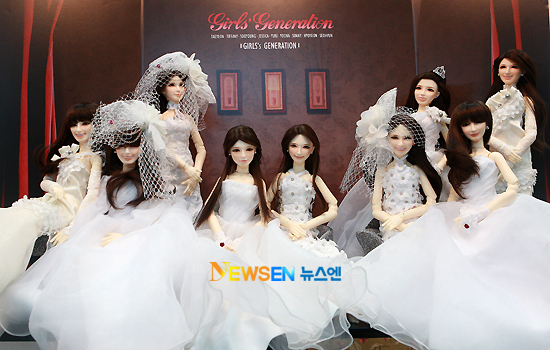 The objectification of idols has been discussed before, specifically regarding the ladies of SNSD portraying dolls repeatedly in photo shoots, but now it is being taken one step further. 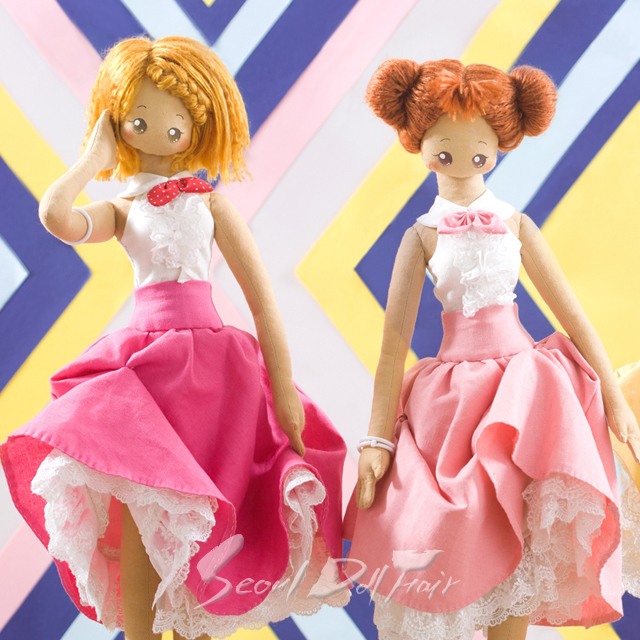 Over the holidays, the 2011 Seoul Doll Fair is being held for people to come and see painstakingly handcrafted dolls in all varieties, from those made of clay and porcelain to the stuffed type, including teddy bears. One way these dollmakers get people in the door at this annual event is to make these dolls in the image of popular celebrities, and this year is certainly no different. 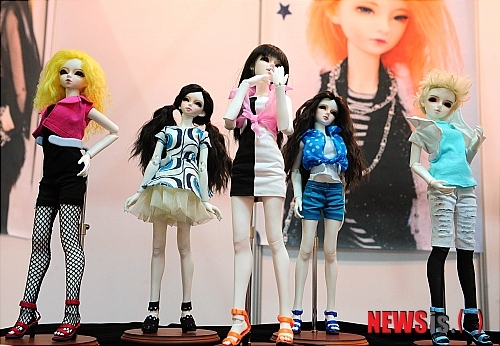 T-ara, IU and Taeyeon, Seohyun & Yoona have even attended this year expo to pose with their doll likenesses. Lets see how this year’s K-pop inspired dolls measured up to the real thing! 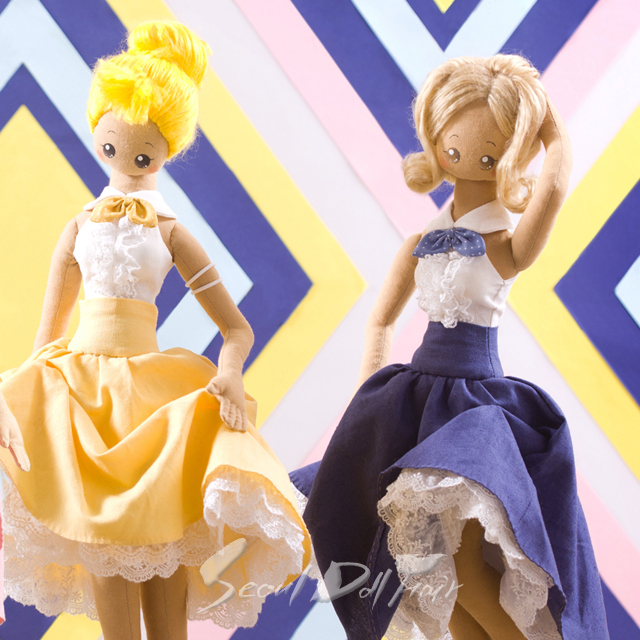 It is only fitting for the Queens of the Doll Concept be turned in to actual dolls, and so they were depicted as dolls two times. The teddy bear line-up in the iconic “Genie” are the ones the girls were photographed with when they attended the show, while another adventurous designer took on the task of remaking the nine lovely ladies in their wedding dress shoot. T-Ara’s “Roly Poly” concept proved to be a popular one being done in two different styles. 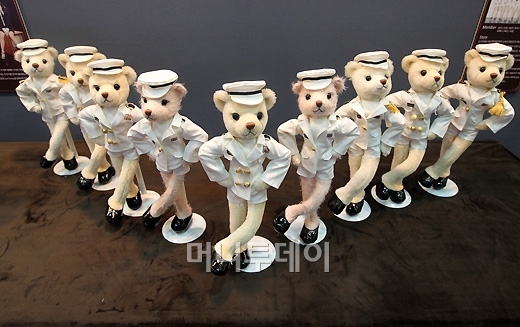 The members posed with their teddy bear counterparts, but they were also captured doing the disco in clay form. While the bear versions are always cute, you have to appreciate the amount of attention to detail that went into the clay figurines. Speaking of attention to detail, IU’s teddy bear was spot on with the “You & I” depiction from the pigtails all the way down to the green Mary Janes. The quartet, Sistar, was captured in their “So Cool” days. The dolls were perfectly placed to mimic the poses from the album cover exactly, although since they are jointed, the Hyorin doll looks awkward, like it has a broken arm. Even though the outfits and placement were spot on, these ones really bore no other resemblance to Sistar. Even SM’s other girl group, f(x), got the doll treatment. 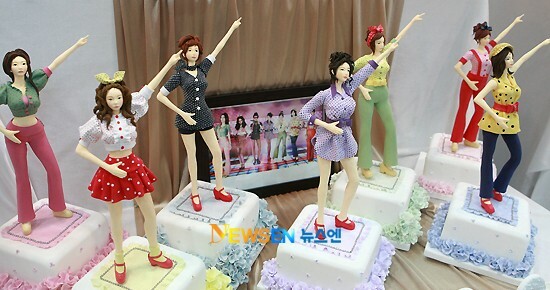 In a scene straight out of “Hot Summer,” these figures do a decent job at portraying the group, however it was a mistake to put the Amber doll in heels. Come on, it’s Amber! Luna could gripe about the fact that her hair is awful, but it isn’t really the dollmaker’s fault that blonde isn’t her best look. Victoria’s double is pretty spot on though, and I bet she is just as flexible! There seems to be a Secret super fan at this show, because not only was there one set of the group, but four different ones representing “Magic” from last year as well as all three singles promoted this year. The artist did a good job with the dolls wardrobes and hair for each set, even having purple hair on the “Love Is Move” version of Hyo-sung. Of the bunch, “Shy Boy” is the best, but “Starlight Moonlight” transfers to dolls quite well, too. 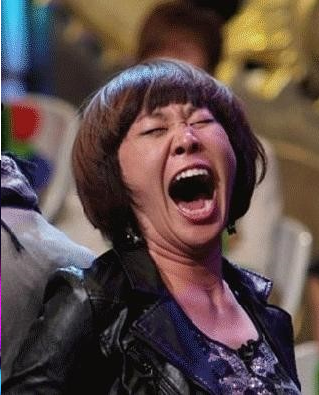 It doesn’t take much creativity to make imitations of SNSD or IU, they are currently two of the biggest names in K-pop. But the next two pieces show both incredible creativity and wit, as well as some serious skills. 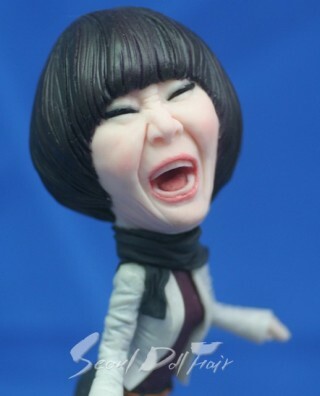 First up, comedienne Jung Joo-ri, who’s figurine captures the essence of the gag woman in the middle of her unmistakable laugh. 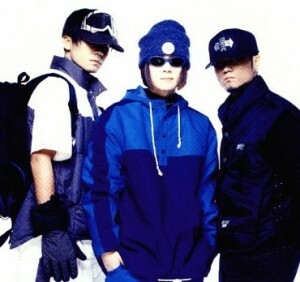 Next, for all the old school lovers out there, is the teddy bear version of Seo Taiji & Boys. These bears are so awesome in all their 90’s glory that they just couldn’t be left out. Which dolls turned out the best? 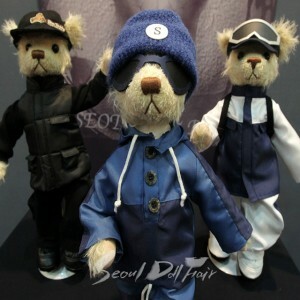 Who would you like to see in Teddy Bear form at next year’s Seoul Doll Fair?